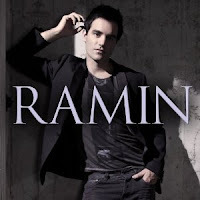 Ramin Karimloo is currently appearing as Jean Valjean in Les Miserables at the Queens Theatre in London’s West End, he has a new album Ramin due for release in March and then he is doing a concert tour in May. He is also shooting two films this year and hopes there will be further touring of his album to North America. The timing is also wrong now as there is another musical production planned for Broadway starring Hugh Jackman (who is currently in the UK playing Jean Valjean in the Les Miserables movie due for release at the end of this year).